We will be donating these funds to help one of our team, Claire Radford reach her goal of raising 5,000.00 GBP by the time she runs the London Marathon in April. 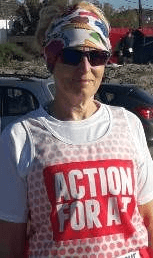 Claire will be running the London Marathon in aid of Action for AT. If you would like to help Claire reach her goal, you can click on the LINK below.